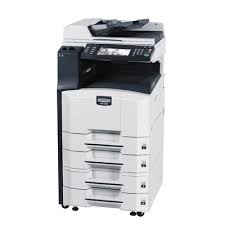 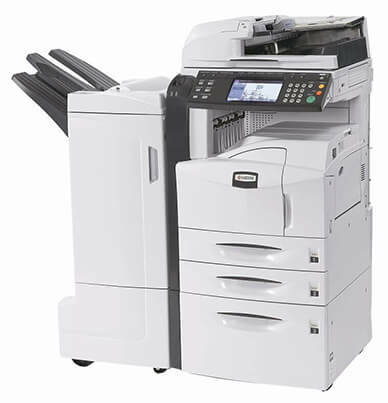 The Kyocera KM 4050 is the only machine your office will need to copy, print, scan and if needed fax (optional). Productivity remains high with the incredible output speed of 40 ppm (letter) and 23 ppm (legal and ledger). 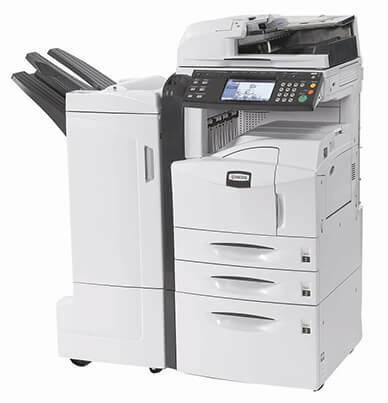 The KM-4050 color control panels helpful keys and guidance allow users to quickly move through projects. 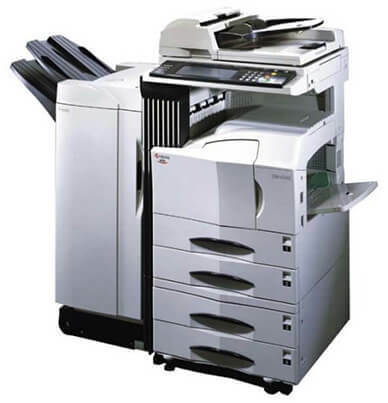 Choose between the Cost-Saving compatible KM-4050 toner (TK-719) and the genuine Kyocera brand (TK-717). 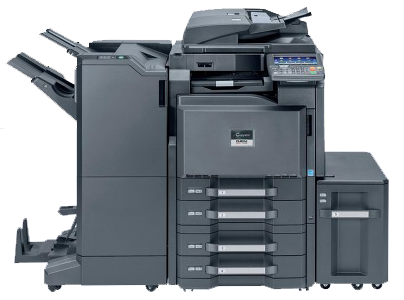 Both the KM-4050 black toner cartridges will provide users with an estimated 34,000 pages (6% page coverage), before it will need replacing. 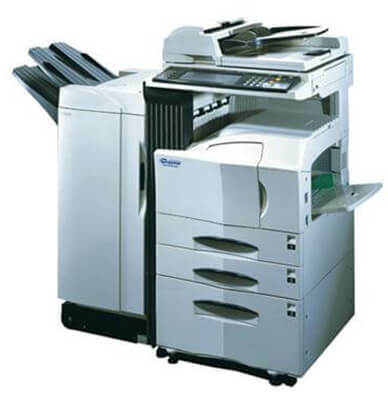 The user-friendly design of the KM-4050 allows users to quickly replace toner through the front access door. 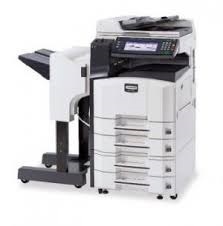 To keep projects moving, load two full reams of paper in the dual 500 sheet paper drawer. 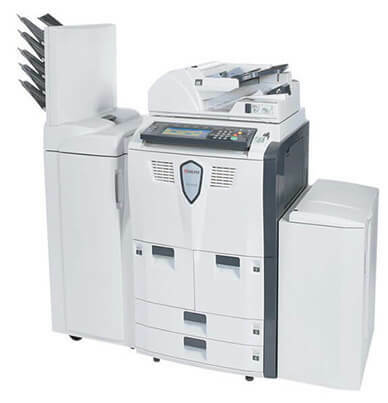 The KM-4050 multipurpose tray can process labels, letterhead, transparencies and larger prints. 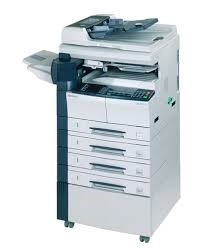 Optional finishers can be added to the KM-4050 as user’s needs change. 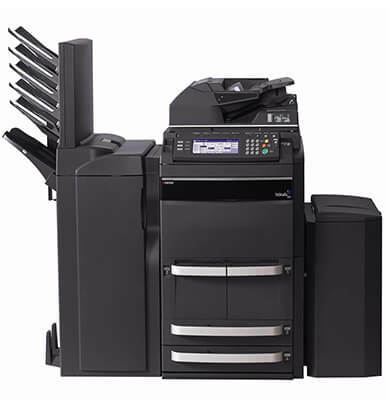 The booklet finisher and hole-puncher can produce documents with that extra touch customers are looking for.